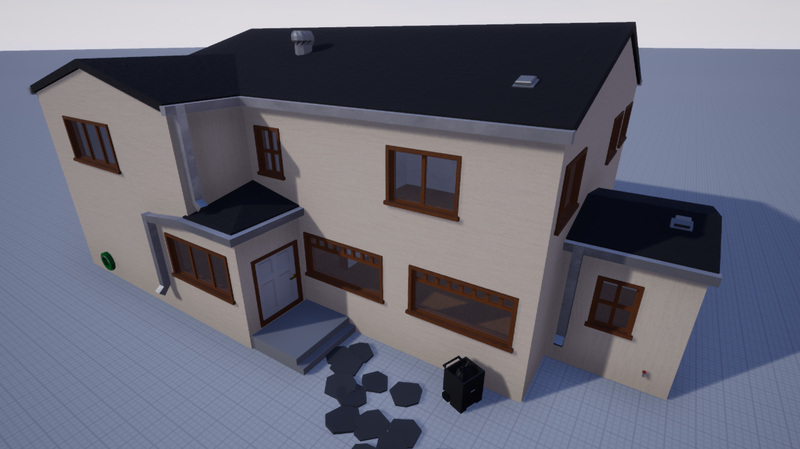 So we can see from the recent post on Nelson’s Blog that there are going to be new designs of houses and guns also a complete inventory revamp with in Unturned 4.0 giving us more information and a estimation for a beta release! For example we can see that in this picture that the house has tons more detail. An example in the increases in detail would be the drainage system stretching across the entire house! Another example of this would be the hose located in the bottom left of the photo and also the house is complete with windows and doors as standard! Apart from the increased detail we can see that the house look 3x bigger than an original Unturned 3.0 house. Here in the same post Nelson States “My goals here are to improve the level of detail, while staying within the art style and improving performance. You may be able to notice some slight texture to these large surfaces, and smaller detailing such as hose nozzles.” This tells us that he is hard at work trying to fix performance issues with Unturned 3.0 not being optimized very well and therefore stopping the lower end PC gamers from joining the Unturned community. 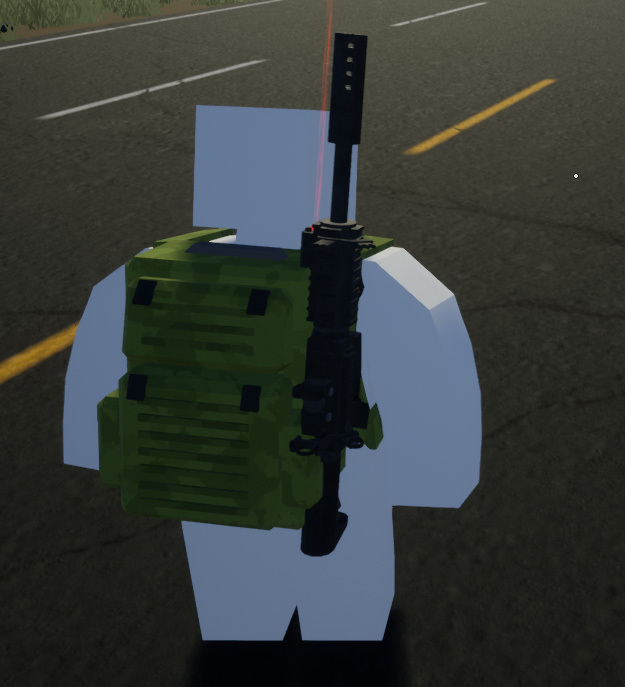 Nelson also states that in Unturned 4.0 there will be holstered items. Don’t know what holstered items are? Well they are simply items that fit onto the back of a military style rucksack that we can see from this picture. We can also see the new gun art style portrayed on the back of the models back. We now know that they are very detailed and Nelson is going for a more in depth look into the type of gun that it is! As we can see from this post over on Smartlydressedgames blog that Unturned 4.0 is already starting too look amazing and developing very quickly and a playable beta should be with us very soon! Previous story Unturned 4.0 Info and what we know so far!